Cape coast castle | Your Beach House in Ghana • Right at the ocean! The colonial castle in Cape Coast was initially built by the Portuguese. Its first base was created in 1555 as a trade lodge. 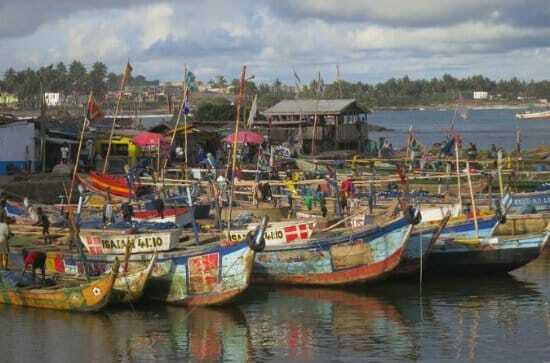 Cape coast is derived from from Portuguese name ‘Cabo Corso’ meaning short cape. Sweden then built a more permanent structure which is now known as Cape coast castle. It was called Carlousburg after King Charles the 10th of Sweden. 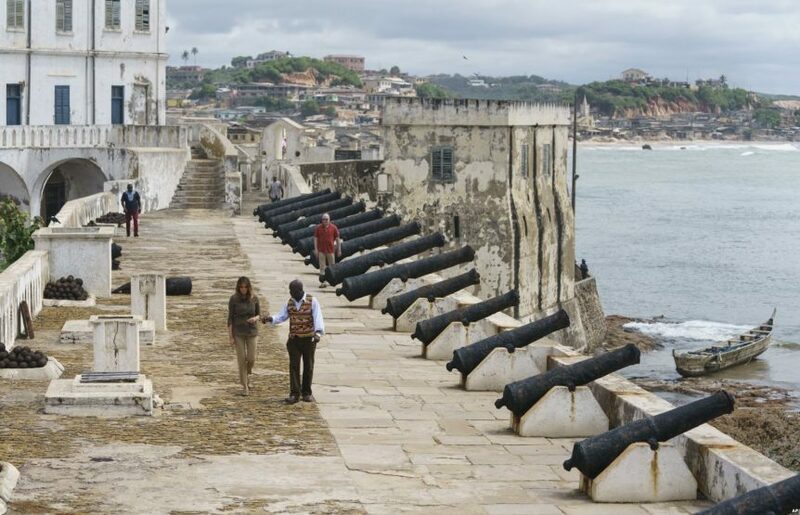 As Cape Coast castle was within eye sight of Elmina castle, European nations were very much attracted to Cape Coast (which is now the main city of Ghana’s Central Region). The variety of trade activities were another factor making it difficult to hold on to the fort. It was the Danes who forcefully took hold of the fort assisted by the local Fetu chief. From around 1660 it was the Dutch who took control followed by the British in 1665 (led by Captain Holmes). The British eventually turned the fort into the castle it is today. Mid 18th century a French fleet bombarded Cape Coast (marking the 7 years war between France and England). 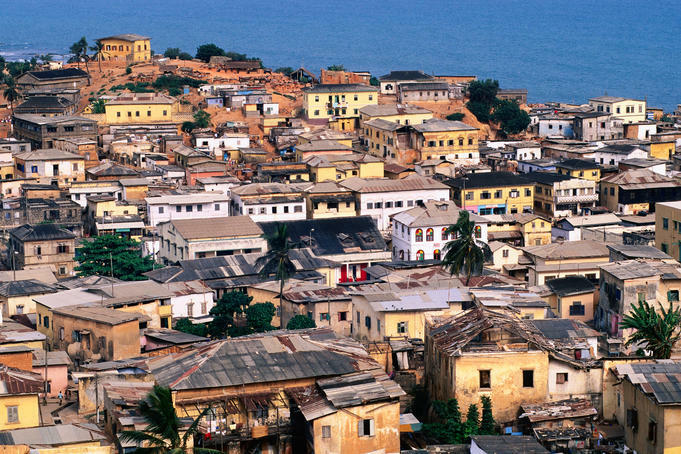 Cape Coast was partly in ruins. The British had to rebuild the castle almost from scratch using stronger materials and a better defense wall protecting the castle from the ocean. The British managed to maintain their control over Cape Coast up to late 1800. Main activity was the unfortunate slave trade and on average about 17 thousands Africans were forced into slavery each year, and sent to the America’s for hard labour. After having abolished slavery in 1807, trade in gold, Ivory, corn, pepper gradually took over. The castle became a center for European education later in the 18th century and trade slowly came to a halt. Currently the castle has been turned into a museum and memorial to the slave trade, its victims and their descendants in the diaspora. It also serves as offices for the Ghana Museums and Monuments Board.